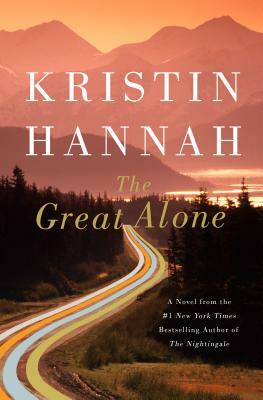 In this portrait of human frailty and resilience, Kristin Hannah reveals the indomitable character of the modern American pioneer and the spirit of a vanishing Alaska. We know the literary drill: Unassuming woman facing insurmountable challenges rises to the occasion in an inspiring journey of courage and pluck. Oh, and with a touch of romance … The literary drill would have Leni saving her family, by stealth and cunning, courage and pluck. And surely, she does what she can. But Hannah has created a complex and agonizingly relatable character … Hannah has created an atmosphere of brooding paranoia and simmering violence that can set your heart racing. Anticipated plot twists unravel unexpectedly. Leni is, by all marks, the strong woman here. But she’s how many of us would be strong: in fits and starts, undone by errors of judgment and misplaced trust. Kristin Hannah’s new novel makes Alaska sound equally gorgeous and treacherous — a glistening realm that lures folks into the wild and then kills them there … We experience this harrowing tale from the point of view of their teenage daughter, Leni. She’s a book-loving girl, toughened by years of frequent moving, and a close student of her father’s capricious moods...While Ernt and Cora play out the captivating disaster of their union, Leni remains an irresistibly sympathetic heroine who will resonate with a wide range of readers … The weaknesses of The Great Alone are usually camouflaged by its dramatic and often emotional plot. It all skates along quickly, but slow down and you’re liable to crack through the thin patches of Hannah’s style. No Alaskan trail is marked as clearly as the path of this story, which highlights every potential danger. It’s a heart-tugger written in borderline young adult style, combining terrible troubles with notes of overripe romance…The terrible troubles are completely one-note … The Great Alone is packed with rapturous descriptions of Alaskan scenery, which are the most reliably alluring part of it … Leni’s problems are dramatic enough to keep readers hooked, but she herself is good every minute of the day. Hannah gives her a kind of afterword, in which Leni writes: ‘Someone said to me once that Alaska didn’t create character; it revealed it.’ Maybe so. But we know who she is right from the start. What did you think of The Great Alone?